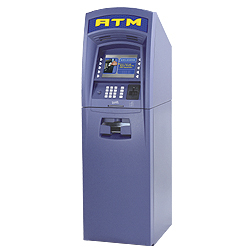 The Model 3100 ATM from Tidel is engineered to provide a value priced, low-cost, high reliability cash dispenser. It includes a wealth of features that are usually available only in higher end models. With its UL 'Listed' vault, Encrypted PIN Pad (EPP) and Triple DES compliance, the 3100 provides you with the security you have come to expect from Tidel ATMs. Tidel has also streamlined the 3100's depth footprint to free up additional valuable floor space. The 3100 is a versatile platform that can be enhanced with Tidel's VIP (Value Improvement Package) option kit which includes hardware for private audio transactions, a 33.6k baud modem and a 5.7" color LCD display. With the addition of the VIP package, it is clear to see why the 3100 is the leader in features and value in the retail ATM market.